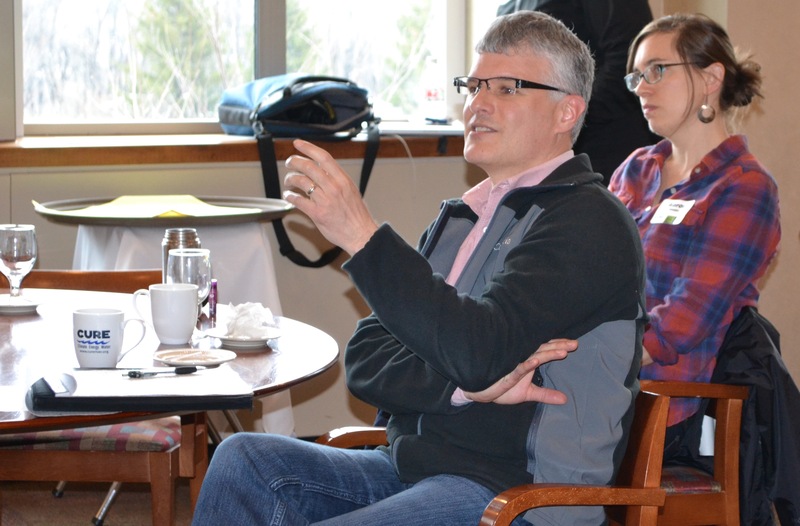 In February, CURE and Land Stewardship Project (LSP) came together to bring 70 of our members as clean water advocates to Governor Dayton’s Water Summit in St Paul. Kylene Olson, Executive Director of Chippewa River Watershed Project, presenting at the Northfield meeting. 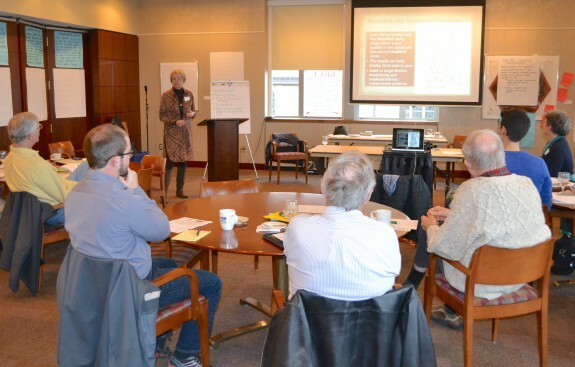 In recent weeks, CURE and LSP organized two meetings designed to answer Governor Dayton’s call; to begin to engage community members around a conversation to draft a community-based Minnesota Water Ethic Charter. The meetings were held in Renville and Northfield. Participants providing feedback and sharing their thoughts at the Renville meeting. 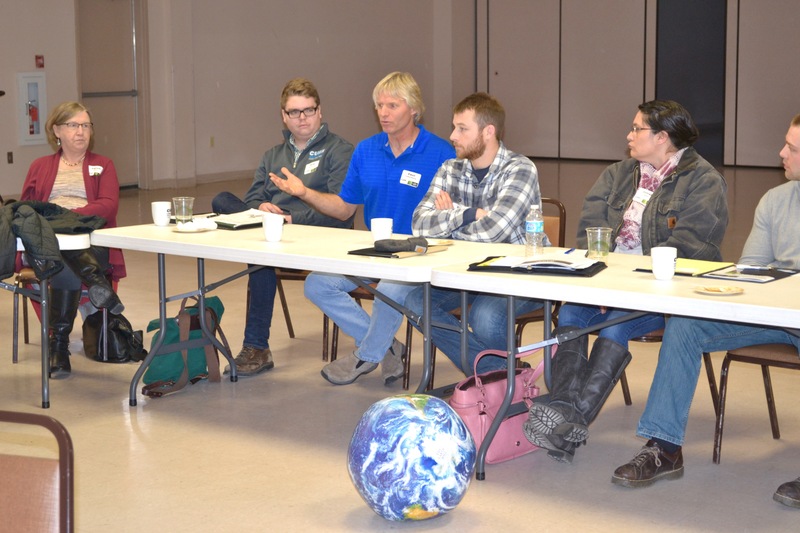 Meeting organizers contend that the water quality discussion currently underway in Minnesota, a dialogue that has been going on for years, fails to consider water from a broad ethical, foundational, and generational perspective. They also contend, and this effort seeks to make the case that, water is necessary for all life, thereby making the discussion around water quality a much larger ethical consideration than where we’ve been previously focused. Through this ethical consideration, we wish to establish the moral and ethical foundations to guide decision-making around the use of water and the protection/stewardship of water basins and water resilient ecosystems. It is our intent that a water ethic for Minnesota, created by a broad community, will engender water policies and practices that are environmentally sustainable, economically responsible, socially just, respectful of culture and spiritual diversity, respectful of biological diversity, and that it must ultimately safeguard the welfare of future generations. 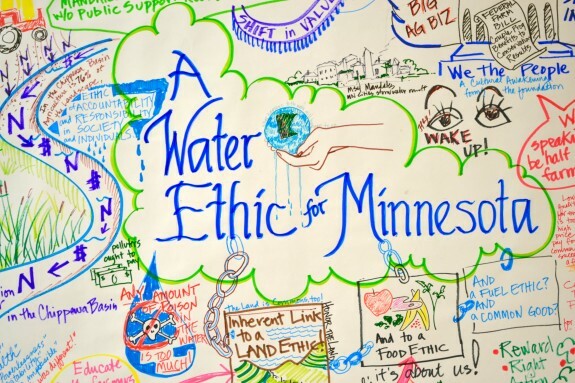 In response to Governor Dayton’s call to establish a water ethic and through these meetings, we hope to begin the co-creation of a new, community-based set of beliefs that will guide our state’s water practices that are truly rooted in the wisdom, values and experience of those alertly living in, working on and caring for our land and water. Graphics created by Audrey Arner. Graphic facilitation from the Renville meeting is on the left and the graphic facilitation from the Northfield meeting is on the right.